If you are a family of 4 or less and have cleaned out you septic tank within the last 6 months, this package is your answer to maintain your septic tank practically free of sludge build-up and odours. 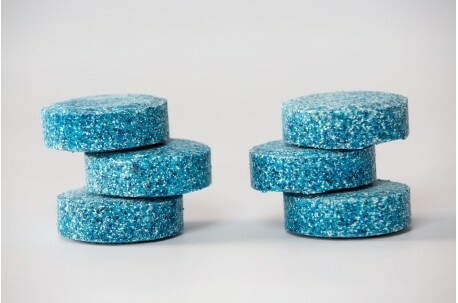 Simply flushing 1 small tablet down the toilet every month will be sufficient to maintain the septic tank with very low levels of sludge and toilet paper. If you have not cleaned out your septic tank in the last 6 months, we advise you begin with our Clean Out package and then begin the monthly maintenance schedule. If you are a family of more than 4, you will need to use 2 small tablets a month.